Persistent hip pain can negatively affect your life, limiting your ability to walk with a normal gait, go up and down stairs, and sit or sleep comfortably. Like other weight-bearing joints, your hips are particularly susceptible to age-related wear-and-tear and degenerative conditions like osteoarthritis. 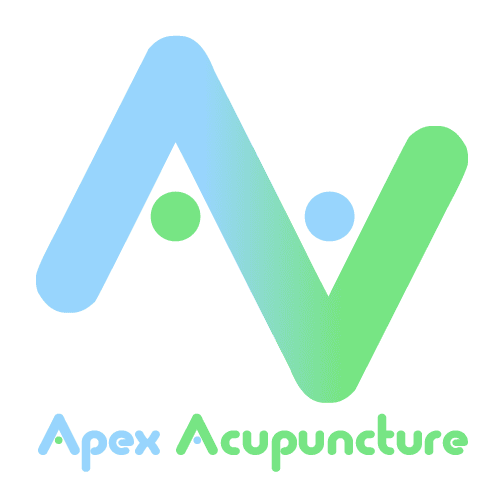 At Apex Acupuncture in Manhattan, New York City, our providers uses their expertise to apply innovative acupuncture techniques to relieve chronic hip pain, so you can return to your daily routine. To learn more, call the office or schedule an appointment online today. One of the most frequent reasons for persistent hip pain is osteoarthritis or the wearing down of cartilage between the thigh bone and hip socket. This condition, particularly common among older adults and athletes with prior hip injuries, usually triggers hip pain that radiates down the front of your thigh or into the groin. Bursitis, or inflammation that affects the outer surface of the hip joint, is another potential cause of hip pain. With this condition, you’re more likely to experience hip pain when standing up, walking, or climbing stairs. Tendonitis is a common sports injury or overuse injury that occurs when repetitive movement causes the tendons that connect your muscles to your hip joint to break down and become inflamed. Stress fractures that affect your hip joint can cause chronic hip pain that worsens over time. Osteoporosis can lead to stress fractures within the hip joint, as can high-impact activities that place too much pressure on your hips. Groin strain, hamstring strain, hip flexor strain, and IT band syndrome are just a few of the exercise-related problems that can lead to persistent hip pain. Can lower back problems cause hip pain? While many problems that cause hip pain originate within the joint, lower back strains or spinal disc problems can also cause hip discomfort. A strained lower back causes hip strain and pain because weakened core muscles can’t support normal hip function. Lower back strains can come from overuse or uneven movements that irritate or pull the muscles that support your lower spine. Disc problems in your lower back can also cause chronic hip pain. While you may expect a ruptured spinal disc to cause lower back pain, sometimes the pain radiates along the sciatic nerve and down into your hip, instead. How is hip pain normally treated? Conservative care for persistent hip pain typically involves resting the joint, applying ice to reduce inflammation and swelling, and taking over-the-counter pain relievers as needed. If you don’t know the cause of your hip pain, avoid any activities or movements that tend to make your pain worse including standing for long periods of time before your appointment. For most women and men affected by chronic hip pain, effective pain management strategies include physical therapy to strengthen the joint and maintain its stability and low-impact activities such as swimming or walking. Can acupuncture alleviate chronic hip pain? For many women and men, acupuncture has proven to be a safe, natural method to relieve persistent hip pain. This method is an ideal alternative for those who want to avoid the risks of relying on over-the-counter pain relievers to stay comfortable day-to-day. Acupuncture can also be part of an effective maintenance strategy for those who may require a hip replacement but want to delay surgery for as long as possible. Depending on the nature of your underlying problem, providers use acupuncture to help address inflammation in the hip joint, release the improper muscle patterns caused by injury, and re-establish muscle balance around the joint. To find out more about how acupuncture can get you back on your feet, call Apex Acupuncture or schedule an appointment online today.